Tosha Shell, B.A., M. A.
Tosha works with individuals, couples, families and coordinates group sessions with adults and adolescents struggling to manage life’s stressors and those who suffer from depression and anxiety disorders. She also works with current and former addicts, provides grief therapy, and her passion is to work with ex-offenders. She would like to help them acclimate back into society, as well as with children of currently incarcerated parents, in an effort to cope during this transitional period. She received her Bachelors' degree in Sociology from Chicago State University and her Masters' degree in Community Counseling from Northeastern Illinois University. Tosha is also an 8 years veteran of the U.S. Navy, and is more than willing to help struggling soldiers with PTSD. 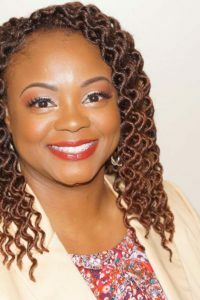 Tosha utilizes her skills as a mother to relate to children and adolescents and her life experiences in the inner city and around the world to provide effective life coaching services to assist clients in reaching their goals.